If your furnace has stopped working, you are not alone. 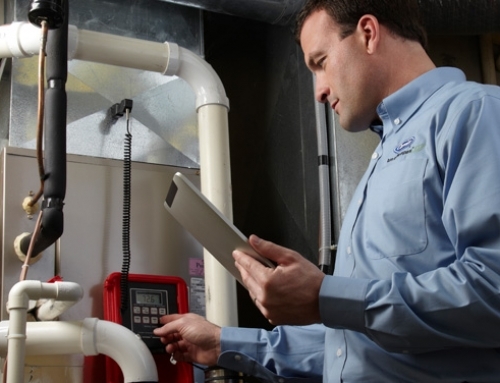 Many homeowners find themselves in the dead of winter with a non-functional furnace. Don’t panic and rush into making a decision about whom to allow into your home for service. 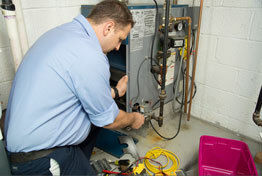 Legitimate heating contractors will have a backlog of service calls to make during extreme temperatures. You should hesitate to have the person out who has time when no other company seems to. “Fly by nighters” always have time to take your money. What they do not have time for is the follow up service to make sure your equipment is functioning as it should. They generally don’t take the required permits for the work they do and are not licensed or insured. You are better off waiting for a day or two, or paying the overtime emergency service rate for a legitimate contractor to come to your home. Our trained, background-checked and uniformed technicians will arrive with a fully-stocked marked vehicle containing as many parts as can physically fit for the best chance that we will have the part you need. This allows the technician to get your heat up and running as soon as possible. If we have to order a part we do so immediately and come back as soon as it’s available to replace it. I called out a furnace repair man because his service charge was only $30 and West Allis Heating’s was more than double. He came out for the $30 service charge. Upon arrival he told me that in order for him to proceed with the diagnostic there would be a diagnostic fee of $25. I agreed since I wanted my furnace fixed. He made a diagnosis and said he needed to order the part. I paid him the $55.00 plus tax (and the $5 trip charge) and he left. I still had no heat. One week later, I called the same phone number and he didn’t answer. For weeks I tried to reach him to no avail and eventually the number had been disconnected. I didn’t have an address for him because there wasn’t one listed. What options do I have? I need heat! I guess I need to accept that I will never see the part that was ordered or the technician that ordered it again. My $60 plus tax is long gone and I’m no closer to having a functional furnace. I now need to call a legitimate contractor and try to fit into their schedule (not to mention pay another service charge). How much will the service really cost me? Beware of hidden service fees. Many contractors have a service charge with separate diagnostic and/or trip charges. Our service fees include the diagnostic and trip charge. When calling around you will want to be very clear about the actual cost for the technician to come to your home. Be sure to ask if there are any additional service fees, trip charges or diagnostic fees. After a diagnosis has been made, legitimate contractors will give you an exact price quote for repairs to be performed. You will then be given the option to have the repairs performed or to pay the service charge and send the technician on his way. You should never feel pressured by the technician. How can I avoid furnace breakdowns in the future? The number one way you as the homeowner can prevent future breakdowns is maintenance (see Heating and Cooling Maintenance Tips). This means not only doing your part by changing your furnace’s air filter as needed, but also getting annual maintenance performed by a legitimate, licensed heating contractor. If you have no heat, checking whether the thermostat is turned to the right setting, clearing snow and debris from PVC exhaust pipes, and making sure power to the furnace is turned on are simple things to check yourself before calling a technician. This may save you a service charge (and make you feel good about yourself). West Allis Heating also offers maintenance plans (see The Value of Maintenance and Service Contracts), which are an easy way to ensure your equipment keeps running at optimum performance and efficiency. With a maintenance plan you don’t have to remember to call for a tune-up…we will call you to schedule at your convenience. Hang in there…we’re on the way! 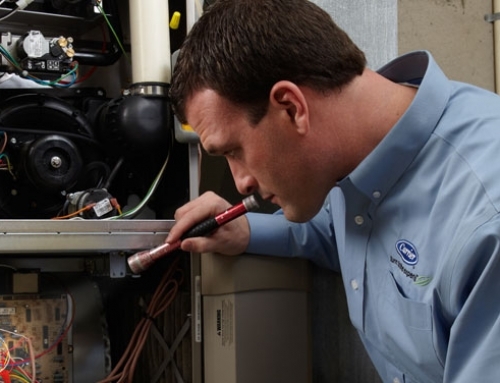 An emergency furnace breakdown is an awful situation for any homeowner to be in, but we are here to help get your heat functioning with as little inconvenience and stress to you as possible. We always have a live representative available to take your call.